This unique and important directory incorporates some 2,750 entries. It covers all types and sizes of museums; galleries of paintings, sculpture and photography; and buildings and sites of particular historic interest. It also provides an extensive index listing over 3,000 subjects. The Directory covers national collections and major buildings, but also the more unusual, less well-known and local exhibits and sites. 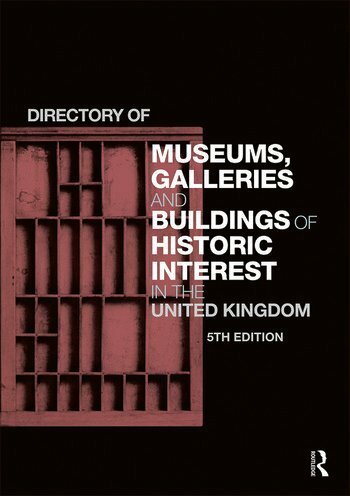 The 5th edition of the Directory of Museums, Galleries and Buildings of Historic Interest in the United Kingdom is an indispensable reference source for any library, an ideal companion for researcher and enthusiast alike, and an essential purchase for anyone with an interest in the cultural and historical collections of the UK. details of special collections are provided and include the period covered as well as the number of items held.